Benamy is a very sweet and quiet boy. He is kind to everyone here at the orphanage. He is from Les Cayes. He has a brother and two sisters that live in Les Cayes with their mother. He really likes living here with his friends at the orphanage. Although he loves playing with everyone, his best friend is Nerisson. Benamy enjoys school very much and even likes doing his homework. He likes to write and practice his cursive writing. He also likes to work hard and helps pick up trash in the orphanage yard. 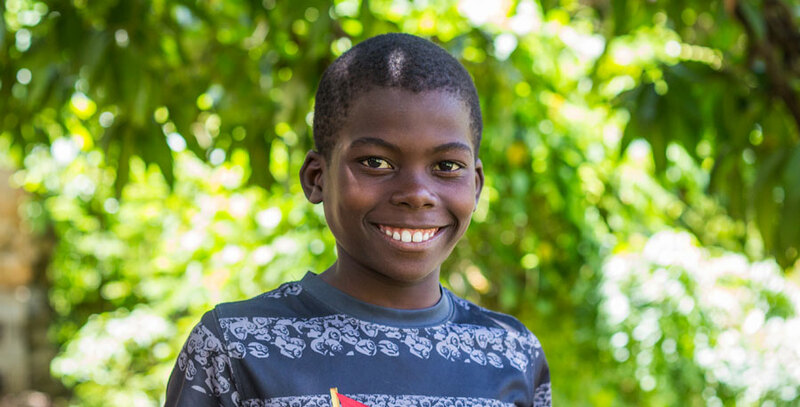 He loves playing soccer with all of his friends in his downtime and he’s proving to be quite the soccer player. When he grows up, Benamy hopes to be an engineer.